I met up with these two on top of the Mount in Guildford, on a beautiful spring evening. I was so glad we found this beautiful field, it gave us such pretty surroundings for their photos! 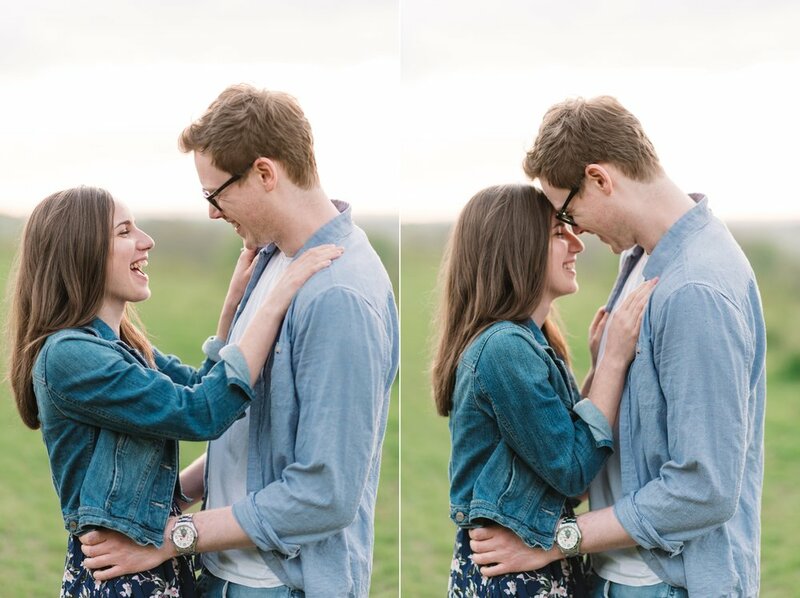 It was lovely to hear more about their plans for their wedding in September. They're getting married at the same church I got married in, and are having a DIY decorated village hall wedding - I can't wait!